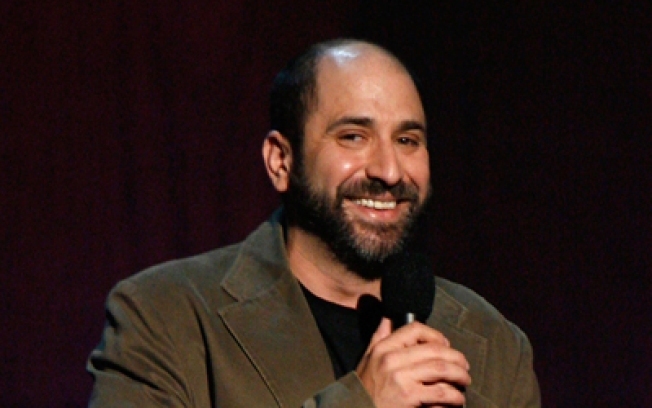 Dave Attell has some words for 2008 at caroline's in his last show of the holiday season. SNIDE: How is schlumpy Queens-born funnyman Dave Attell spending the holidays? He's at Caroline's every night, telling jokes to drunk people. 9:30PM. OTHERWORLDLY: Brett Dennen's poppy sound lands somewhere between Jason Mraz and Jack Johnson. Matisyahu lands… squarely in Matisyahu territory. They come together for the 3rd Annual Festival of Light at the Music Hall of Williamsburg, 8:30PM. THROWBACKY: Tonight's the last installment of The Smithsonian, the Smiths-stravaganza that's been running on Tuesday nights all month at Beauty Bar, as real live members of the band (sans Mor) spin their favorite '80s sounds. 10PM.